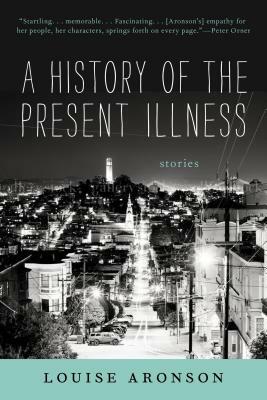 A History of the Present Illness takes readers into overlooked lives in the neighborhoods, hospitals, and nursing homes of San Francisco, offering a deeply humane and incisive portrait of health and illness in America today. An elderly Chinese immigrant sacrifices his demented wife's well-being to his son's authority. A busy Latina physician's eldest daughter's need for more attention has disastrous consequences. A young veteran's injuries become a metaphor for the rest of his life. A gay doctor learns very different lessons about family from his life and his work. And a psychiatrist who advocates for the underserved may herself be crazy. Together, these honest and compassionate stories introduce a striking new literary voice and provide a view of what it means to be a doctor and a patient unlike anything we've read before. In the tradition of Oliver Sacks and Abraham Verghese, Aronson's writing is based on personal experience and addresses topics of current social relevance. Masterfully told, A History of the Present Illness explores the role of stories in medicine and creates a world pulsating with life, speaking truths about what makes us human. Louise Aronson has an MFA from Warren Wilson College and an MD from Harvard. She has received the Sonora Review prize, the New Millennium short fiction award, and three Pushcart nominations. Her fiction has appeared in Bellevue Literary Review and the Literary Review, among other publications. She is an associate professor of medicine at UCSF, where she cares for older patients and directs the Northern California Geriatrics Education Center and UCSF Medical Humanities. She lives in San Francisco.